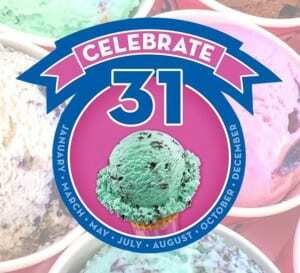 Ice Cream Scoops for $1.31 at Baskin-Robbins! 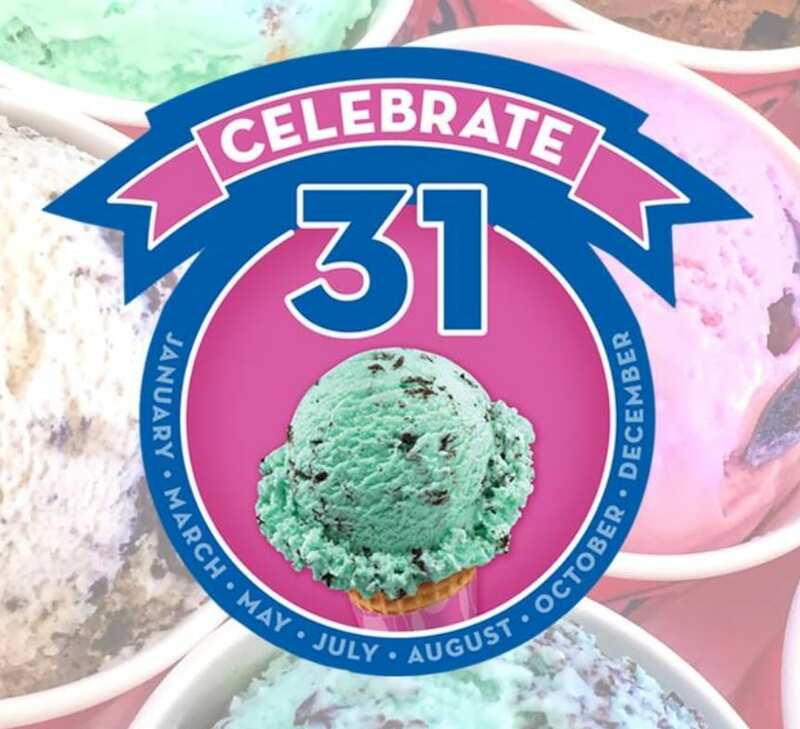 Just a friendly reminder that Baskin-Robbins is celebrating 31 years with $1.31 (+tax) Ice Cream Scoops on the 31st of each month this year! So make sure you stop in for a delicious treat on Thursday this month or the 31st of the month of May, July, August, October, and December this year if you are interested! For more information, please head here. Yum!